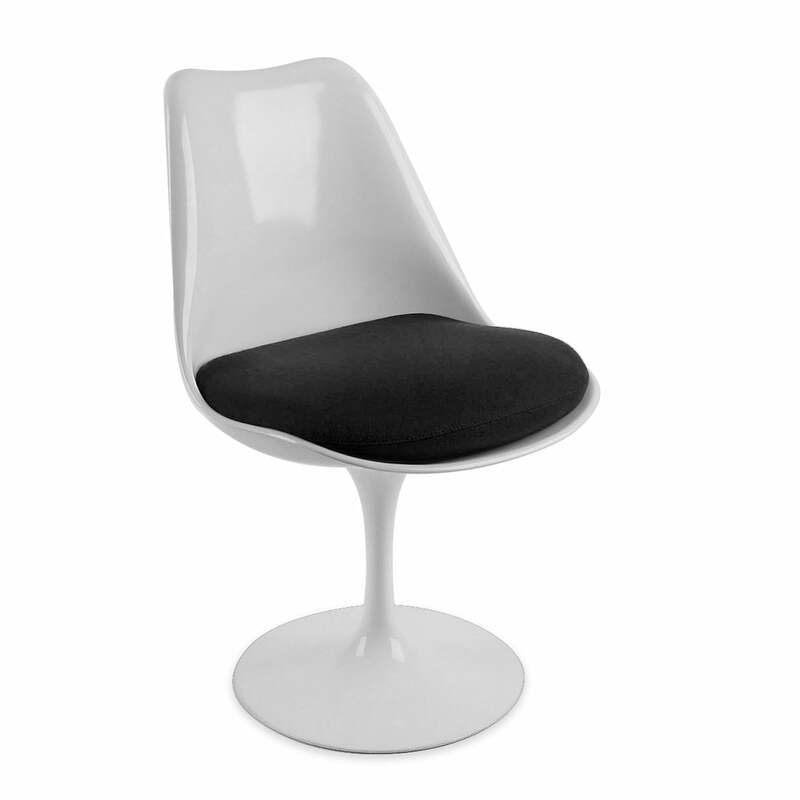 The puristically designed Tulip Chair is reminiscent of the shape of a tulip, as per its name, and combines modernity with classic Scandinavian design. 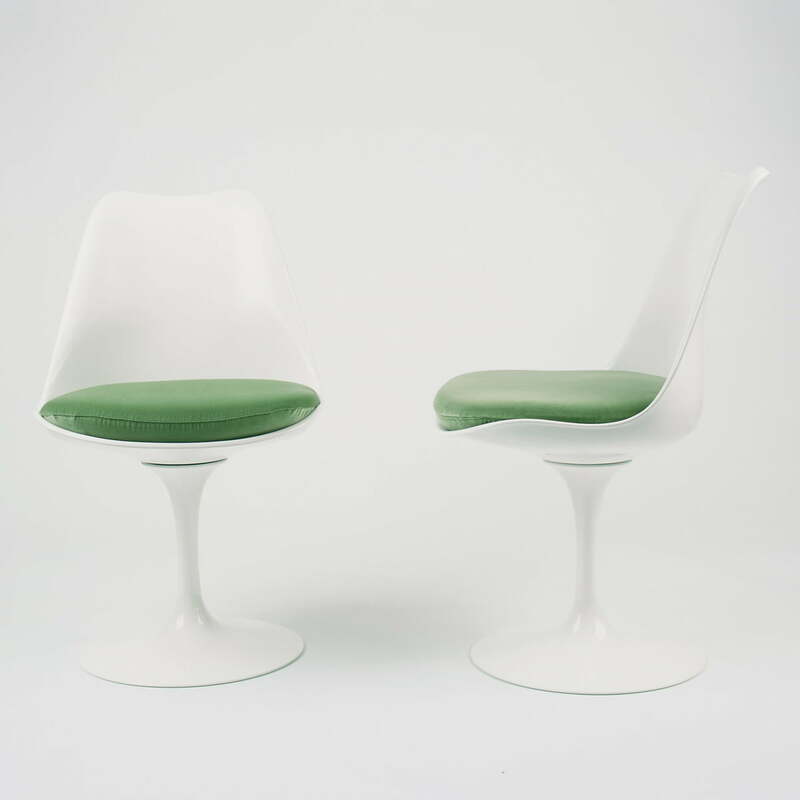 Eero Saarinen describes the background to the design of the Tulip Chair as such: ‘I wanted to clean up the clutter of legs. I wanted to make something unified again out of an armchair.’Thus the four-legged chair as it was commonly known became a one-legged one without further ado. 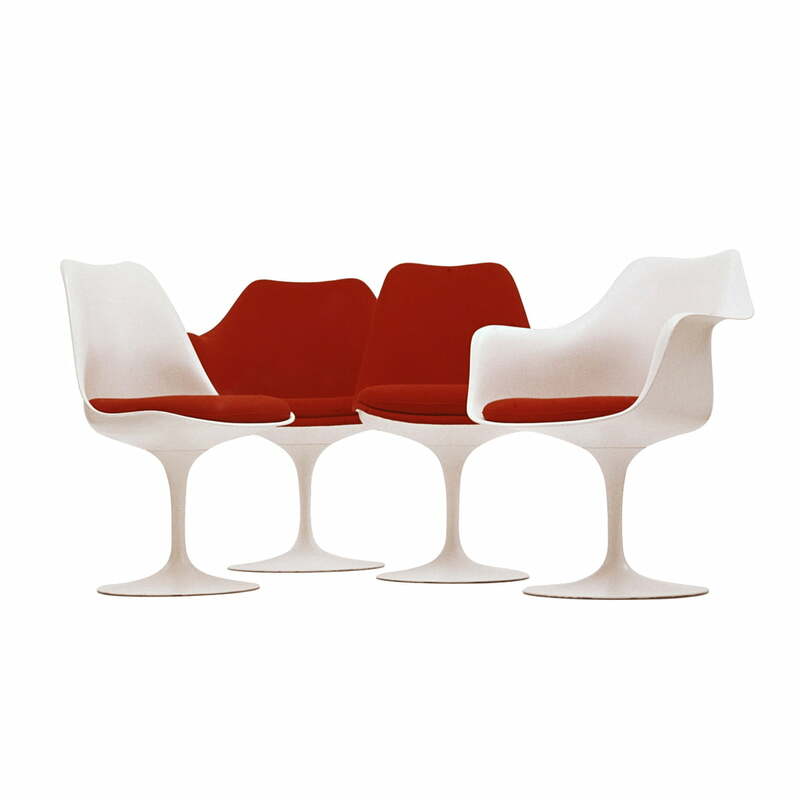 Eero Saarinen designed the first version of the Tulip Chair in 1953 and created the basis for a revolutionary design classic amongst seating furniture – there has never been a chair before that combines foot and seat into one closed form. 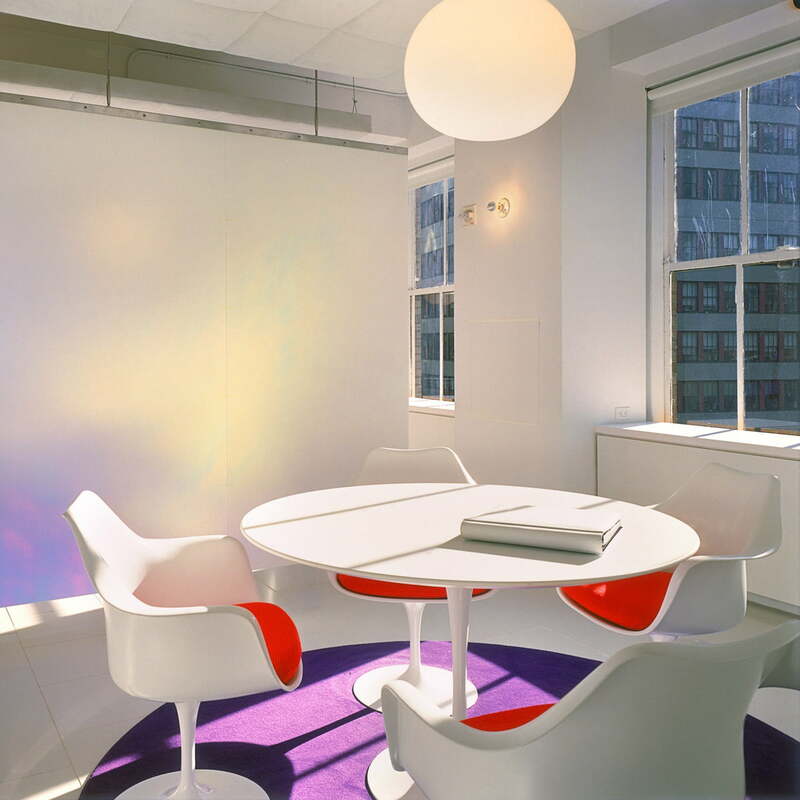 The Tulip Chair was developed further in collaboration with the manufacturer Knoll. 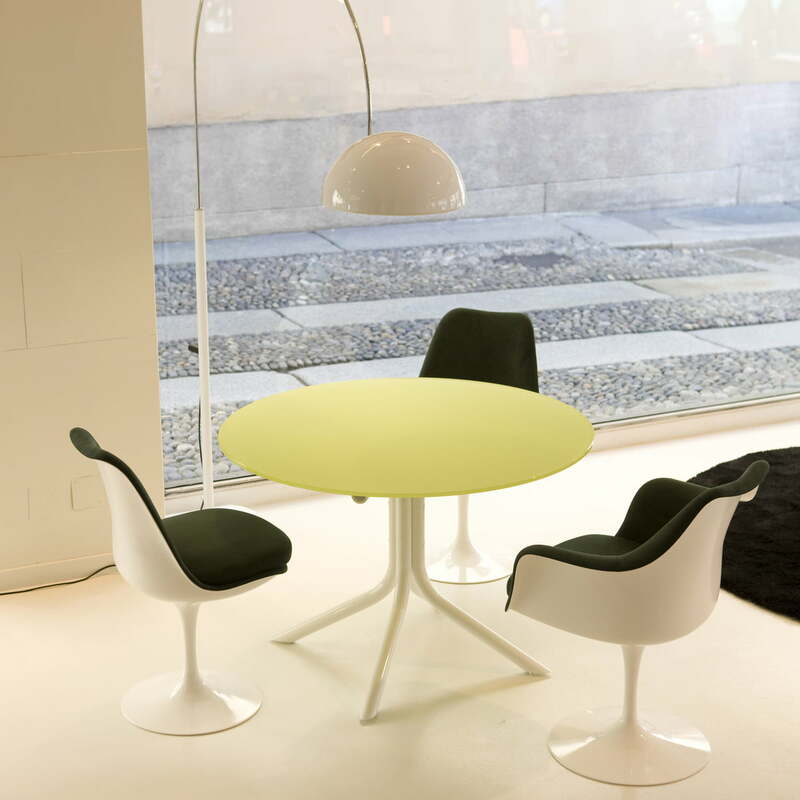 In 1956, the chair was finally brought onto the market in the characteristic design that was maintained until this day. It rests on a trumpet foot cast from light metal and coated with Rilsan on its surface. Furthermore, the chair is available in different variations: first you have the choice between a chair with armrests or a design without. You can buy the Tulip Chair in swivel or fixed versions, and also choose whether you want the internal shell upholstered or to have just a separate seat cushion. The covers are available in a variety of different materials and colours.The chair itself is manufactured in black and white.Of course we can gladly advise you on the choice of colour, shape and material for your individual Tulip Chair! Tulip seating collection includes a chair with armrests, a chair without armrests, with swivel base or fixed base and a stool. Available with an upholstered seat cushion or a fully upholstered interior shell with seat cushion.